Shadow Wisdom: Self-forgetting, negative self-talk, self-deprecation; lacking awareness of signs offered by cosmic communication; hiding the fullness of your light. 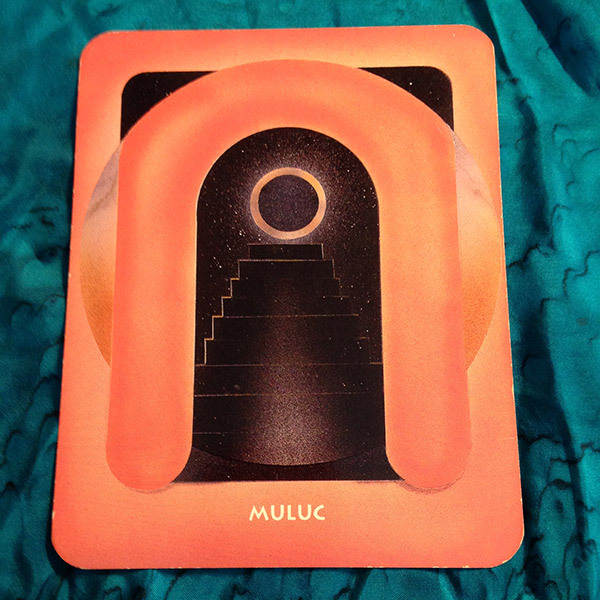 Choosing Muluc means be on the lookout for sings and signals which confirm and validate your thoughts feelings and intentions. I began noticing this as I was driving. License plates held messages of confirmation about things I had just said or was thinking about. Songs on the radio did the same thing. Even television sent me messages when people in my family were ill or dying. Same is true for Mother Nature. If you understand how to use metaphor she will send you information in the cloud formations, through trees and animals too. Native Americans were deeply knowing and respectful of the truth found in such messages. So today, be awakening to your own divine guidance which is ready to be speaking to you as soon as you are ready to listen. Remind yourself of this by saying the Affirmation frequently today. Especially when you realize you received a message from your divine guidance. This will anchor it and the universe appreciates you are acknowledging what is being offered and will send offer more.